Altus Group demonstrated some of the latest Industry 4.0 technical trends at Southern Manufacturing 2019. Together with new supplier, Industore, providers of innovative storage solutions, Altus presented a range of equipment all of which work with the ‘SMART’ Manufacturing principle. 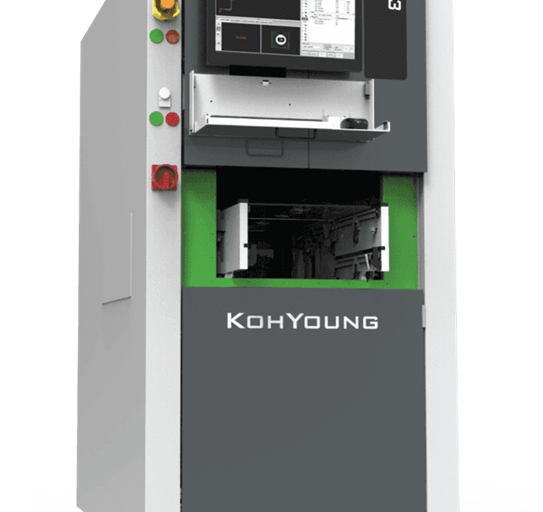 One of the main focuses for the show was the Koh Young’s Zenith 3D AOI. Based on its innovative technology, ‘Zenith’, it measures the true profilometric shape of components, solder joints, patterns and even foreign material on assembled PCBs with patented 3-dimensional measurement, overcoming the shortcomings and vulnerabilities of traditional 2D AOI. The importance of increasing traceability of component management and the reduction in labour intensive procedures was also highlighted with the presentation of equipment from one of the most recent additions to the portfolio – Scienscope. With an extensive range of component counting equipment, Scienscope is the only supplier with the capability of an inline system, says the firm, allowing for the highest level of automation in component counting on the market. One of the most recent additions to the range is the Scienscope AXC-800. This uses micro-focus x-ray technology and a high-resolution digital image detector for accurate counting of standard SMT or TH components. Its innovative technology encompasses the ability to inspect components in JEDEC trays (including BGA ball counting), ESD storage bags, storage tubes, or just about any form by using simplified algorithms built into the system for all types of components.